We at RVP Tours offer point to point and city to city shuttle service which is economical, safe, reliable, on-time services for people who are travelling all through New York, New Jersey, Nevada, Pennsylvania, Florida, Massachusetts, Connecticut and District of Columbia. With years of involvement in giving excellent service and incredible rates on point-to-point shuttle service, RVP Tours are the ideal choice for travelling hassle-free. We convey consistent administration supported by a steady responsibility to your security and solace. City to City Busses offer semi-extravagance trips. They benefit an extensive system of stops crosswise over various cities of New York, New Jersey, Florida etc. You can find different buses and fleets covering all the big and small cities of the US. They have different stops in all the significant urban communities of the USA. RVP Shuttle Service is the ideal choice for airport transfers, chauffeured tours, day trips, outings, group tours, long distance tour, private tours from city to city/point to point, and more. We make your trip comfortable and exciting- travel in style with the RVP Shuttle Service. Our semi-luxury charters will carry you in luxury, cooled atmosphere, and in comfort to your place. Our vehicles comprise of 13 Seaters, 22 Seaters, 35 Seaters and 48 Seaters. Reach us for a customized price or fill the form below and we will connect with you soon. It would be ideal if you select The Total Number Of Passengers, for group booking 6 is the minimum number. For 1 or fewer travelers you can choose to book a regular shuttle service. We offer point to point/city to city services throughout the year, which is extraordinary for driving, touring, getting to medicinal arrangements, sight-seeing, group tours, etc., and not only that, our services are reasonable, reliable, and environment friendly. We are open by a proficient transport, arrange and numerous methods of transport. 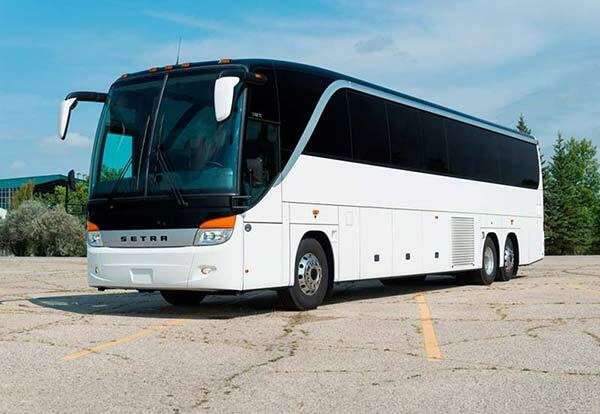 Bus- We have luxury tour buses well equipped with everything luxurious for the larger occupancy client needs. Taxi/shuttle- We have a fleet of well maintained, luxurious, chauffeur driven and affordable range of taxis/shuttles which will be of best help for your point to point/city to city ground transportation needs. Limousine and Large Taxi- Point to point limo rental services are available around New York, New Jersey, Florida and for many other places. You can choose from 4 seater limousine to 7 seater large taxi. Point to point transfer sometimes becomes tedious, but not anymore. We assure you in providing stress-free experience by arranging things from your end. The services we provide help to make your travel a peaceful one. You can select the options for point to point pick up or drop. According to your requirements and comfort you can choose the vehicle for you or your guest. You can book in advance by using all the major credit cards or approach to our staff if you are planning to pay by cash. You can book online or can call us at this number 718-779-1151. We will help you in choosing the best travel plan based on your requirements, budget, and comfort.